When you travel, you have many different options when it comes to exchanging money or paying for things in a different currency. While there are many options, I can guarantee you one thing, any time you exchange money or pay for things in a different currency, *someone* is taking a minimum of 2.5% of every transaction from you as a foreign exchange fee. A lot of people aren't aware of the hidden fee. For example, if today's 'real' exchange rate between Canadian and U.S. dollars is 1.30, they are definitely charging you an inflated rate of 1.33 - and pocketing the 2.5% difference as a fee for themselves. Unless you actually look at your receipt or credit card statement, and compare the exchange rate they used, against the 'real' exchange rate from a currency exchange site (like XE.com) - you will have no idea about this hidden fee. And by *they* I mean every bank, currency exchange center, ATM machine, and credit card in the world. They all want their 2.5% fee from you. It's potentially going to get even more expensive for Canadians. As of May 1st - TD became the first bank to increase this hidden fee from 2.5% to 3.5% for ATM withdrawals in other countries. Increasing the foreign exchange fee for credit cards may be next. The other Canadian banks are watching TD to see if they should do the same. 'No foreign exchange fee' credit cards are cards that charge you today's real, uninflated exchange rate - and with no other fees, they are the only way to truly buy something in a different currency without paying one cent in fees (hidden or obvious), provided you pay your credit card bill on time. - exchange *some* currency at a good, independent currency exchange place at home. (Regina does not currently have any recommended exchange places. You may need to try your local bank). Note however, that if the country you're going to visit uses an exotic currency (anything beyond dollars or euros) - it may be better to wait until you get there. Exotic currencies can often be a rip-off to buy in Canada. - for everything else that absolutely requires cash as payment, I use the currency I exchanged at home. When that runs out, I withdraw some more from the ATM in the foreign country. The key with ATM withdrawals is to find that balance, where you're making as few ATM withdrawals as possible, but without walking around with a ton of cash. I also need to time that final ATM withdrawal so I don't end up with too much foreign currency at the end of the trip. So what are the best 'no foreign exchange fee' credit cards? This type of credit card is very rare. Out of the hundreds of credit card options available to Canadians, only a handful use the true, uninflated exchange rate at the time of purchase. With no annual fee, and by charging the real exchange rate, *and* an additional 1% cashback on top, you are effectively getting 3.5% cashback on everything you buy in a foreign currency. Tough to beat! This is the card I currently buy everything with while traveling. There are a few other perks such as roadside assistance and car rental collision insurance included for free. You can find more detailed info about my experience with the Home Trust Visa in this blog post. No annual fee, and 3% cashback on all purchases in a foreign currency, which effectively means it charges you the real exchange rate, just like the Home Trust Visa. You also earn 1.25% cashback on all purchases in Canadian dollars. At the end of the day, the Home Trust Preferred and the Rogers Platinum are pretty much even in terms of the amounts most people will save with typical usage. - The cash back from Rogers can only be applied to your Rogers bill. Except, once a year, you can call in and have it applied to your Mastercard bill instead. This just seemed like a hassle, and I'm not a Rogers customer. - Visa is accepted pretty much everywhere in the world, while Mastercard is a close second. Costco in the U.S. for example, only accepts Visa. There's also the Fido Mastercard, which is the exact same card, but the cash back applies to your Fido bill. This card is somewhat similar to the Rogers Platinum above, but it's actually even better. It also has no annual fee, but offers 4% cash back on purchases made in a foreign currency, and 1.75% cash back on purchases made in Canadian dollars. It also has a little bit of travel insurance (but not nearly as comprehensive as the Scotiabank Passport below). But, to qualify for this card, you need to make $80k/year (or have $150k total household income). Although I have heard of people qualifying with less. If you do meet the income requirements, it's a no-brainer to choose this card over the Rogers Platinum. The Rogers World Elite has the same downsides to consider as the Rogers Platinum described above (not truly 'cash back', and Mastercard vs Visa acceptance worldwide). Charges the real exchange rate, and comes with perks such as 6 airport lounge passes per year, and all kinds of insurance coverage: travel medical, trip cancellation / interruption, delayed / lost baggage, and flight delay. You can also earn Scotia Rewards points. But, it has a $139 annual fee. To justify the annual fee, this card is the best option if you think you might have a decent level of transactions in foreign currencies, or value the included lounge passes, or the insurance. 3 lounge passes alone would typically cost more than the annual fee. Currently, you can earn a bonus of 25,000 Scotia Rewards points after making $1000 worth of purchases in your first 3 months. Is there any way to avoid paying high fees when making ATM withdrawals? All banks will charge the hidden fee (inflated exchange rate) but Tangerine is the one bank that won't charge the additional obvious fee, if you withdraw from an ATM in the Global Alliance. ATMs in the Global Alliance include: Bank of America in the U.S., Scotiabank in Mexico, Caribbean, Central America or South America, and Deutsche Bank in Europe. You can find a complete list of ATMs in the Global Alliance here. What about withdrawing cash using my credit card? This is generally a bad idea. Most credit cards consider this a cash advance, and start charging you interest immediately. Yes, there are sometimes ways around the interest charge, by overpaying your credit card first, but this can still be a bad idea for other reasons, and you'll still be charged a cash advance fee. When you're in another country, and the debit or credit machine asks if you would like to be charged in your home currency (Canadian dollars) - do *not* select this option. It may seem like a good idea, but what's really happening when you select that option is that the machine's provider is determining the exchange rate when calculating the amount you will be charged in $CAD. I guarantee that this will be an even more inflated exchange rate than the one that Visa or Mastercard uses. What you want to do is select the option to be charged in the currency of the country you're in, and let Visa or Mastercard use their typical 2.5% inflated exchange rate. What currency should I bring to Cuba to convert to Cuban pesos ? Definitely Canadian. Definitely not $USD. 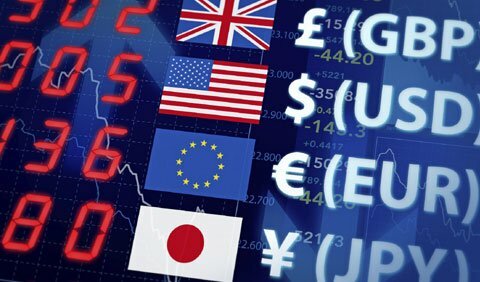 The exchange rates are set by the government and should be the same everywhere. You can't buy Cuban Pesos outside of Cuba. What currency should I use in Mexico? Pesos are the best currency to use in Mexico. Not $USD. Convert some Canadian dollars to Pesos before you go, or when you get there. When using the ATMs in Mexico, choose the legitimate bank ATMs. Not the street ATMs. regina, yqr, articles, credit cards, travel rewards cards and no foreign exchange fee credit cards. 2 Responses to "What is the best way to exchange money or pay for things in a different currency?" When I first started travelling 12 years ago I was of the mindset that you should always take a bunch of American Money with you when you travel so that you can convert it at the money exchanges. In the last few years I finally discovered that by the time I factored in the fees/losses at the bank and again at the exhange I was better off to just use my bank card at the ATM and use the credit card anytime I could. I always try and source a bit of local money prior to leaving Regina for the first cab ride and a few meals. I also take a fat wad of Canadian Cash with me. Nearly every country has accepted my Canadian cash on the street or in the market but generally ss soon as I get to my destination I get settled in and find a money exchange. Be sure to shop around because fees vary alot and avoid hotel lobby and airport exhanges if you can! Thanks Fred! Some great info there.